At the age of 15, Robert became a Junior Music Exhibitioner at the Royal Manchester College of Music, where he later took a full-time Diploma on the Clarinet. He then went to Trent Park (now part of Middlesex University) to take a Postgraduate Certificate of Education. After completing his education, Robert joined the instrumental teaching team in Berkshire, later becoming Head of the Woodwind Department, a post he held for several years. 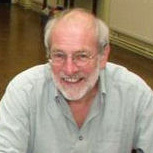 He became Vice Principal of the Service, by then called Berkshire Young Musicians Trust, in 1990. After seven years of full time teaching, Robert had a sabbatical year studying conducting at Trinity College of Music in London. Since then he has been involved variously as founder, musical director, mentor and conductor of many music societies and groups in the County. He is particularly known for his work with young people and has conducted the Reading Youth Orchestra and the Berkshire Youth Orchestra taking both groups to the National Festival of Music for Youth in the Royal Festival Hall and to the Schools Proms in the Royal Albert Hall. Robert formed the Berkshire Youth Wind Orchestra in 1970 and has taken that Ensemble to many BASBWE events and was invited to perform one of the Gala Concerts in the WASBE conference at the Royal Northern College of Music. He has continued to worked with Wind Ensembles throughout his career. Choral conducting has formed an important part of Robert's repertoire ranging from performances of the Verdi Requiem in the Royal Albert Hall, the Brahms Requiem in Eton College to the Kodaly Psalmus Hungaricus in Paris. In the Summers of 2005 and 2006 Robert conducted several performances of the Mozart and Faure Requiems in the Dordogne with Vox Amicus. Robert completed a second sabbatical/gap year in 2006 mainly living in New Zealand. He taught at Chetham‘s School of Music for seven years, combining that work with freelancing as conductor and teacher.